With a Platform Width of 15 inches, a Depth of 12 inches and a Load capacity of 60 lbs. 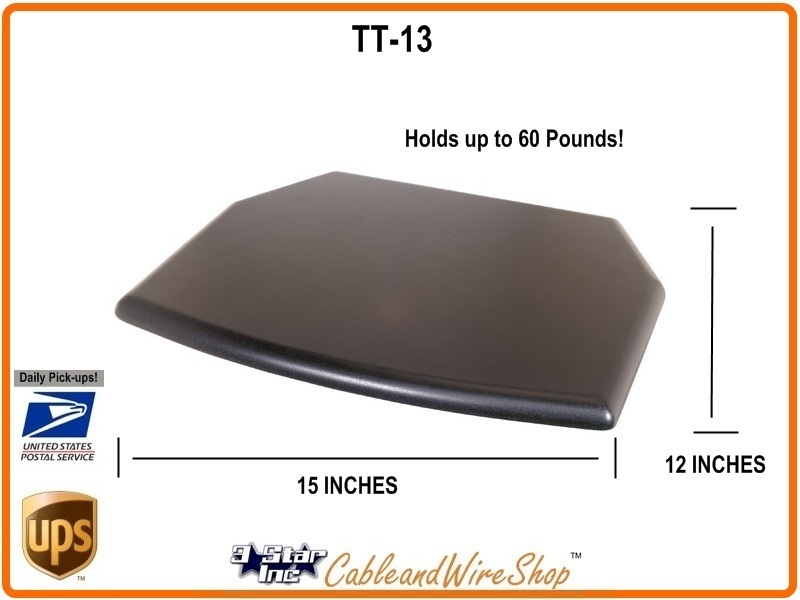 Cable & Wire Shop's small LCD and Plasma HDTV mounts are designed specifically for small 9 to 13" inch TV displays. Choose from wall, desk and ceiling mounts that are perfect for your home and office alike. Competitive TV mount prices and same day shipping from Cable & Wire Shop.